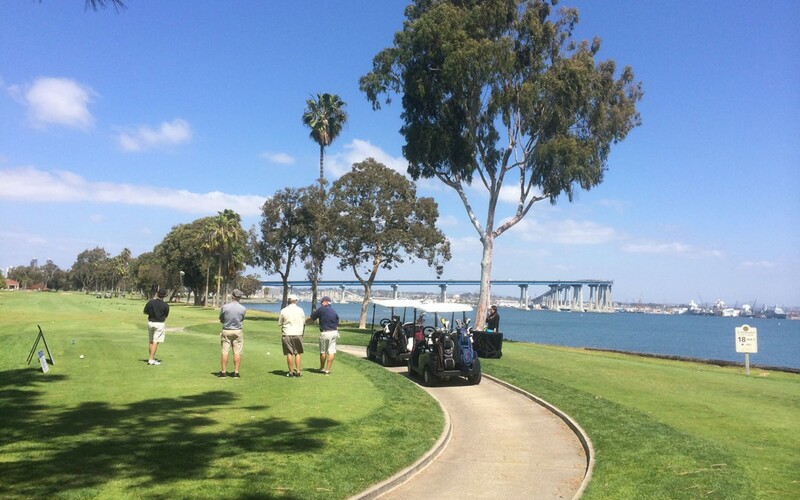 There are three ways to book a tee time at Coronado Golf Course. Advance Tee Times are available On-Line.On-Line. In person, at the Pro Shop. Reservations for Advance Tee Times may be made 3 14 days in advance. Non-Refundable Advance Tee Time Fees (priority booking) are: $ 32.50 for two players, $ 65 for four players. NOTE – There is a non-refundable fee of $16.25 per golfer for On –Line Priority Reservations. The advance fee does not apply towards green fees or cart fees. Greens fees and cart fees will be charged the day of play. Player ID confirmation is required at check-in. Cancellation Policy: Tee time reservations must be cancelled no later than 24 hours prior to day of play. If the reservation(s) is not cancelled by this time, the credit card holder shall be responsible for the full green fees and advance fees with the credit card being automatically charged. Tee times may be obtained either in person or by phone two days prior to play. BY PHONE – To obtain a tee time via phone, call the starter at (619) 435-3121 two days prior to the day of play, beginning at 9 a.m. IN PERSON – LOTTERY DRAW is conducted from 6 a.m. until 8:59 a.m. two days prior to the day of play. Each player must be present and may draw one ball. The LOTTERY will commence at 9 a.m. Tee times will be assigned in order until filled. ANY UNFILLED TEE TIMES WILL BE FILLED ON A FIRST COME – FIRST SERVE BASIS, EITHER IN PERSON OR VIA PHONE. NOTE – The player obtaining the tee time must play and show ID. If that player fails to show, the tee time will be forfeited to players on the waiting list. Unused lottery times must be forfeited back to the starter and may not be transferred by the player.